Harcourts Evolve is a leading Estate Agency in the Moot surrounding areas that includes Kilnerpark, Queenswood, Villieria, Rietfontein, Waverley, Gezina, Mayville, Eloffsdal, Parktown Estate, Wonderboom South, Moregloed, Capital Park. Pretoria West, Pretoria North and surrounding areas specializing in Residential, Commercial Real Estate. Areas that we are also active in include Danville, Nina Park, Theresa Park, Orchards, Philip Nel Park, Proclamation Hill, Westpark, Kwaggasrand, Pretoria Gardens, Elandspoort	,Pretoria Townlands, Hermanstad, Danville 599-JR, Daspoort, Kirkney, Daspoort Estate, Booysens, Andeon, Suiderberg,Mountain View, Roseville, Lady Selbourne	,Andeon AH, Zandfontein, Broekscheur, Lotus Gardens, Tileba, Florauna, Amandasig, Heatherview, Dorandia, Wolmer, Hestea Park, Eldorette, Karen Park, The Orchards, Akasia, Chantelle, Clarina, Witfontein, Klerksoord AH Hartebeesthoek,The Orchards ext 46. Educated at Pretoria Boys High, Andre's drive is to build relationships with his clients by providing professional, ethical and concise advice and feedback. Andre uses technology to the advantage of his clients, offering expert property appraisals, effective, active and immediate marketing of properties for sale. His competitive sales drive of property marketing will ensure transparency through the entire transaction, and will guarantee you extraordinary service. Andre has strong experience in sales management, sales negotiation and relationship management. With this background it has allowed him to develop a unique understanding of the property industry as well as relationship building and business. He is a highly competitive individual who aspires to the highest possible standards in all he does. This ensures that his clients have the best possible service and outcome to their property purchase or sale. I was self employed for 13 years and before that was working in the Motor / Banking Industry and then I joined the Harcourts Maritz team, as from July 2010 and completed NQF4 , I moved to Hartenbos and joined the Harcourts Trio group in Hartenbos . I believe strongly in honesty, integrity and loyalty towards everyone and always try to “walk the extra mile” for my family and customers. 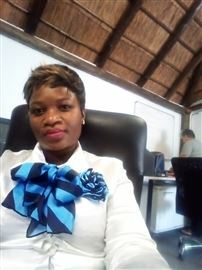 I left Hartenbos and moved back to Pretoria during September 2013 and started working for Harcourts Titanium from October 2013 to November 2018 I am a Full status agent and is also the Office Manager at Harcourts Evolve. 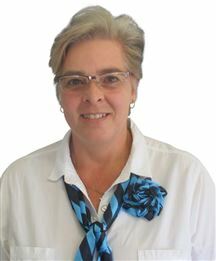 Ada started her property career in 1974 in Vereeniging. Since the 1950's her family were involved in the building Industry and with the completion of several flat complexes she started managing these buildings as well as rentals and sales. Her passion and enthusiasm for this industry is a way of life. She has a very strong ethical work code and will ensure that the client's needs are met at all times. During her career as property consultant she has gained lots of experience with market changes, technology changes as well as skills development . 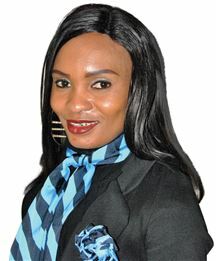 Ada received various awards and pins in her career as a sales person and has also completed her NQF 4 as an estate agent. With her friendly helpful nature and understanding the value of relationship building many clients became life long friends and customers. A strong benefit to her personality is that she never gives up. Her ability to communicate effectively, show compassion and care to her customers and their needs are the fundamental basis of her client liaison. She strongly believes that a house/property is not just brick and mortar, but the heart and soul of it's inhabitants called 'Home". Anelia was born in Kimberley, moved around a bit until her family settled in Mossel Bay. She finished Matric and moved to Pretoria where she started working in administration and Secretarial/PA. She has been in Pretoria since December 1988 and am still hanging on to this beautiful city. Anelia is still an intern agent and is working herself to be a top agent in her area, believing in good customer service and assisting the client with the process of selling/buying a property. 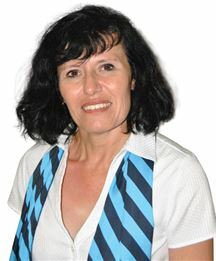 Celeste Christie has been in the Western and Northern Pretoria markets for more than 15 years. She has an outstanding knowledge about those markets and pricing. She has joined the Harcourt group to intensify service excellence and be the best agent she can be. Glenn believes in the client and doing everything possible to help the client as he believes that buying property is one of the biggest decisions that a person will probably ever make in their lifetime. This is a stressful time in anyone’s life and tries to make this journey as pleasant and easy for all parties involved. The client comes first. Glenn has been in the property industry since 1998. He was recruited and trained by Rothea Olivier, one of the leading business owners and agents in the industry. 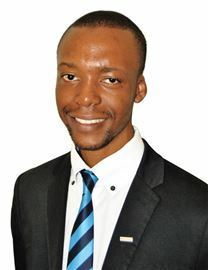 He joined the Harcourts group in January 2013 and has been with the brand and in the Moot servicing the Rietfontein and Villieria areas. He is well respected in the industry for his ethical and honest business practices. His values are people first, doing the right things right, being courageous and to have fun and laughter. WINNERS NEVER QUIT AND QUITTERS NEVER WIN!!! Jannie grew up in Vanzylsrus, Northern Cape and attended schooling in Kuruman. 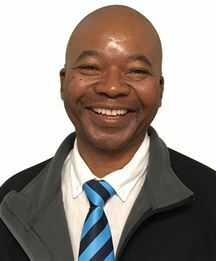 Jannie joined the South African Police in 1981 and after a successful career of 34 years service resigned with the rank of Colonel from the SAPS. Father of 2 sons an a daughter. 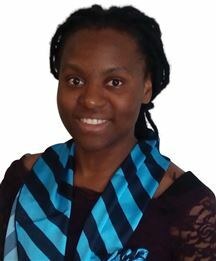 Jannie completed the National Diploma in Police Administration and the Higher Diploma in Policing at Technikon RSA, Masters Degree in Policing at Tshwane University of Technology and a BTECH Degree in Security Risk Management at Unisa. 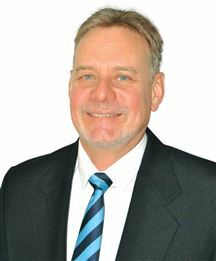 Jannie joined the Property market in 2016. Jannie is a dynamic well-presented, highly reliable hardworking individual, and find it easy to build good relationships and trust within the community. Excellent leadership styles, strategic, visionary, coaching, diplomatic and pace setting. Excellent oral and written communication skills, decision making abilities, professionalism and attentiveness to clients and community. Perform under optimum pressure. Strong focus on finding of buyers for sellers and arranging of projects in the community with all stakeholders to build trust, and raise awareness programmes and roadshows about the Vision and Mission of Harcourts Evolve. 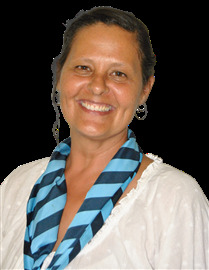 Jannie is a member of the Institute of Estate Agents of South Africa, and a holder of a Fidelity Fund Certificate. Jannie complete several courses in the Property market. Jannie commit himself to provide the best professional service possible to sellers and buyers at all time. 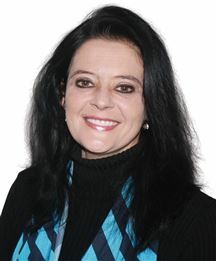 Jannie specialize in the following areas in: Pretoria North: Dorandia, Teleba and Theresa Park. I have been in the Health and Fitness Industry for more than 25 years. I have good communication skills and love working with the public. I have felt it necessary to make a change in life and decided to join the Real Estate market. John Mans was born and raised in the Moot area in Pretoria and has lived there ever since. After completing school he studied computer programming and graphic design. In 2004 he became a business owner and did graphic designing and industrial embroidery for major companies. 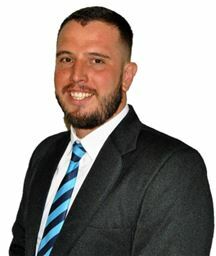 In 2017 he decided it was time for change and got involved in the property industry,first with selling of building packages and then later moved to residential sales and new developments It is John's mission to always strive to give the best service possible,and to always be a learning based individual,enabling him to be a property professional instead of an ordinary estate agent. After finishing my school years we moved to Pretoria were I started working at Transnet for 4 years, that was were I've met my husband of 30 years and we have 5 beautiful children. After many years of being a mother and spending many hours and time with parents I have realized the importance of a good home, that is were family goes to at the end of a busy day and to start a new day from. It is my dream to pursue a career in selling homes. To those who have the same outlook as me, I will go out of my way to find you the home you are looking for. I was born and bred in Limpopo, in a small village called Ha-Sundani. Completed my primary and Secondery education there. Then moved to Pretoria and work as hairdresser for eight years. During my stay in Pretoria i developed love and interest in property. My drive is to build relationship with my clients by providing professsional, ethical and concise advice and feedback. I uses technology to the advantage of my clients, offering expert property appraisals, effective, active and immediate marketing of properties for sale. My competitive sales drive of property marketing will ensure transparency through the entire transaction, and will guarantee you extraordinary service. I have a strong experience in sales management, sales negotiation and relationship management. With this background it has allowed him to develop a unique understanding of the property industry as well as relationship building and business. He is a highly competitive individual who aspires to the highest possible standards in all i do. This ensures that his clients have the best possible service and outcome to their property purchase or sale. LUCIA'S PROMISE TO YOU: "On signing with me you can be confident of professional service, My goal is to give you an honest and fair appraisals and to obtain the highest price for your home in the shortest period of time. I look forward to having a nice journey of success with you"
Experience, accuracy, skill, energy, motivation, service, results ... I believe that the agent chosen for the marketing of your property requires all of these attributes to achieve success. So why choose me? My 4 years experience as a property professional coupled with other office environment work and field work has given me the interpersonal skills needed to effectively manage the whole process of ensuring a pleasurable experience while selling your most valuable possession ... your home. My extensive knowledge of my focus area empowers me to achieve optimal prices and fast reliable sales of my mandates. Our company's high standard of service excellence and ethics as well as my personal experience in formulating a plan to achieve the desired goals, is the difference between myself and any other agent operating in your area. I believe in strongly being honest, having integrity and staying loyal towards everyone thus making me successful in the real estate business. So whether you’re buying or selling, give Nigel Mac-Rare a call today for the results you want, when you want them. I was born in Pretoria ,Hebron and we moved to Mabopane in 1971 where I matriculated .I love music, reading ,traveling and working out . I am a Christian .I enjoy working with people . Naas is a well-spoken, passionate and ambitious individual with a hunger for life. He is a T12 paraplegic from November 2012 following a tragic motocross accident and has therefore undergone some of life’s toughest obstacles and lessons. From early school days Naas has been proven to be a career salesman and has therefore excelled in what is known to him as second nature as well as a hobby of sort. He has proven to be exceedingly loyal towards clients and employers. Naas has excellent work ethics; he’s not only good with admin but he’s a go getter. He strongly believes in integrity and will go the extra mile for a client’s satisfaction. Country Living at it's Best!! !